“Films about art and artists” covers a variety of things, from biopics about artists dead or imagined, to documentaries on living ones. However, the best of them are the ones that are able to teach us something about the medium they depict, or about the people who create it. These films portray artists as compelled to create from an inner need, whether for therapeutic, spiritual, or philosophical reasons. They celebrate the unique worldviews such individuals often possess, while outlining their limitations, from their heightened emotionality to their predisposition to mental illness. At the same time, they explore the relationship between art and the viewer, as well as art’s somewhat unsettling contiguity to wealth and power. As films about famous artists go, The Agony and the Ecstasy may be about as conventional they come, but this does not stop it from being enormously entertaining. The film depicts the tumultuous relationship between Pope Julius II (Rex Harrison) and Michelangelo (Charlton Heston) that resulted in the painting of the Sistine frescoes. Harrison’s performance is spirited, as is Heston’s (albeit sometimes excessive), and the monumental sets do not fail to impress. The Agony and the Ecstasy is technicolor majesty through and through. Art, politics, and romance are on equally full display in this visually flooring biopic about Frida Kahlo. Featuring an irresistible and career-defining performance from Salma Hayek and an equally superb Alfred Molina in the role of Diego Rivera, the film celebrates both Kahlo’s freewheeling sexuality and courageous persistence in the face of debilitating injury. Julie Taymor attempts to translate Kahlo’s unique visual sensibility to the screen through vivid, live-action recreations of scenes from her paintings. In some of the film’s best moments, painted backdrops, stop motion animation and digital effects intermix until the constituent elements are indistinguishable. These scenes wonderfully approximate the kind of subjective experience that artists always seem to be searching for. A seminal work of New Queer Cinema, British auteur Derek Jarman’s Caravaggio draws equally from colorful rumors about the painter’s life and an intimate appreciation of his art. Biographical details, from his boyhood apprenticeship in Milan, escape to Rome, and patronage from the Cardinal Francesco del Monte are depicted, as are his notorious taste for street fights and carousing. As he would do in his other biopics, Jarman makes use of his protagonist to celebrate the wide panoply of human sexuality. We see young Caravaggio (Dexter Fletcher) hustling, taunting an older gentleman client. Later a love triangle develops between a slightly older Caravaggio (Nigel Terry), a street fighter named Ranuccio (Sean Bean) and his girlfriend Lena (Tilda Swinton). When Caravaggio starts painting however, all other details (including the occasional anachronistic object) seem irrelevant. Jarman filmed every scene indoors, allowing him to give the painter’s live models a tenebrous, yet glowing look that mimics the original paintings astonishingly well. 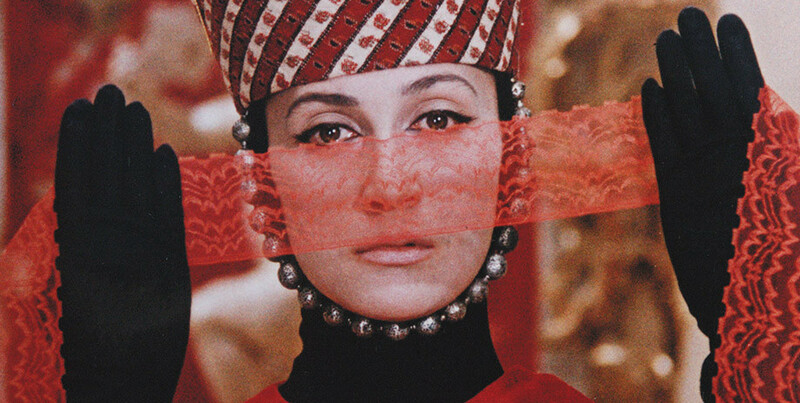 uncanny connection between the worlds of art and money is a good metaphor for the film’s subject matter, which inhabits the place where beauty, chance and love meet greed, power and materiality. Mark (Stephen Lack), a New York stockbroker who finds looking at art therapeutic, meets Anna (Emmanuelle Chaulet), a young actress from France in the Metropolitan Museum of Art’s Vermeer room. He tells her she resembles his favorite Vermeer, the Portrait of a Young Woman, and asks her to coffee. Meanwhile, in a private gallery an artist (Gordon Joseph Weiss) desperately harangues his gallerist (Gracie Mansion) for a cash advance on his upcoming show. On the other side of the door, Felicity, (Grace Phillips) the wealthy heiress of an art collector and friend of Anna’s waits and listens, determined to acquire a piece from the ongoing exhibition at any cost. 25 years after its release, many aspects of the film, from its depictions of New York life to its broader underlying critique of the art world remain relevant, and its largely improvised dialogue is a breath of fresh air. A melodrama of monolithic proportions, Bruno Nuytten’s Camille Claudel adapts Reine-Marie Paris’ biography Camille: The Life of Camille Claudel, Rodin’s Muse and Mistress for the screen. Showcasing thrilling performances by Isabelle Adjani as Camille and Gerard Depardieu as Rodin, in many ways the film comes across as a blockbuster à la Française. The emotions are pitch-perfect, the tempo is lively throughout, the camerawork is dynamic, and the soundtrack, a set of four orchestral suites by film composer Gabriel Yared, is worth the price alone. which does more to tarnish Camille’s reputation amongst the salon society of Paris than it adds to her notoriety. At first Camille’s greatest desire is to have the great Rodin’s signature grace one of her sculptures, but when Rodin’s support begins to waver, she decides to strike out on her own. Lust for Life is the quintessential Hollywood biopic about the quintessential tortured artist. 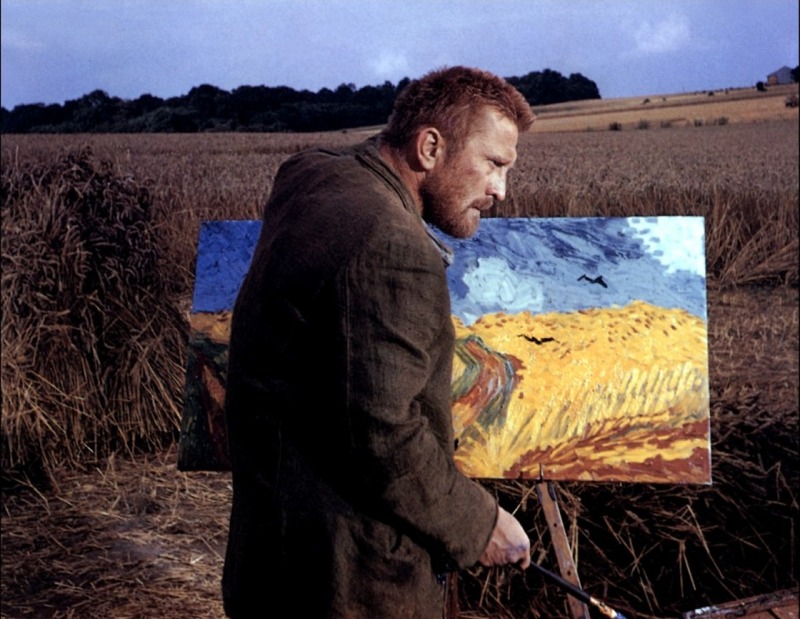 Kirk Douglas plays Vincent Van Gogh, who leaves his Dutch homeland for Paris to live with his brother Theo, played by James Donald. Theo introduces his brother to the French Impressionists, including Pissarro, Seurat and Gauguin, the latter who eventually joins him in Auvers. Unwilling to compromise his artistic vision, Vincent grows estranged from his friends, setting the stage for his descent into madness. Shot in technicolor and featuring a rousing score, this film has everything you could ask from a classic Hollywood biopic.